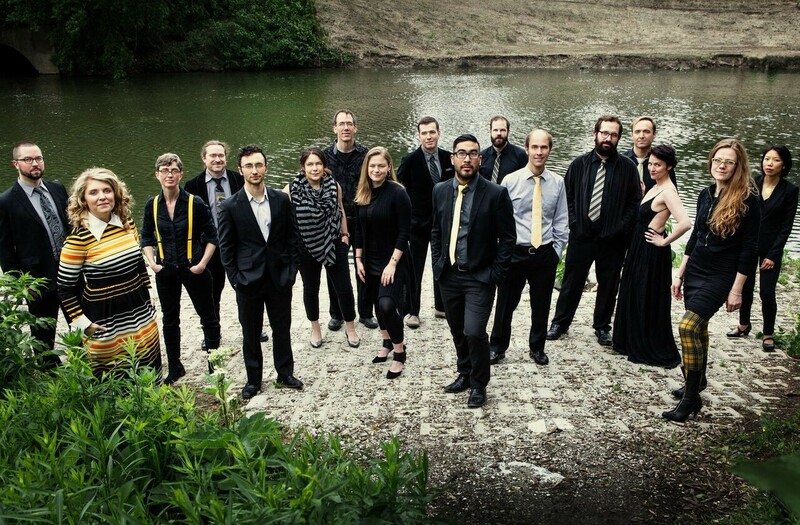 Ensemble dal Niente closes the Frequency Festival on Sunday at Constellation. Longtime Reader music writer Peter Margasak began the weekly Sunday-night Frequency Series in May 2013 at Constellation (3111 N. Western), the eclectic music venue that had been opened by jazz drummer and all-around mastermind Mike Reed only a month prior. The series provides a regular stage for a burgeoning and adventurous new-music scene that before was plenty accustomed to occupying relatively unconventional spaces such as storefronts and galleries. And as evidenced by a marathon Frequency Series performance this last month in which pianist R. Andrew Lee played a storied, nearly five-hour minimalist piece by Dennis Johnson called November, new music has found a cozy place to call home. So celebrate with a festival. The Frequency Festival stretches from Tue 2/23 through Sun 2/28 and takes place at four different venues, with Constellation acting as home base for the final four days. Eighth Blackbird members Lisa Kaplan (piano) and Matthew Duvall (percussion) kick off the festival on Tuesday at the Museum of Contemporary Art (220 E. Chicago) with a program that includes work by Steve Reich and John Luther Adams, while Wednesday’s free concert at Bond Chapel (1025 E. 58th) features a world premiere from Ecuadorian-German composer Mesías Maiguashca performed by the Fonema Consort. The festival moves to Constellation on Thursday with a program by Aperiodic, a local collective Reader contributor Bill Meyer describes as "specializing in renditions of indeterminate scores"; multidisciplinary ensemble Mocrep also perform. On Friday percussionists Todd Meehan and Doug Perkins play a new work by Scott Lindroth that requires discarded materials to be reshaped into musical instruments, and on Saturday International Contemporary Ensemble flutist Claire Chase takes the stage, followed by an afterparty thrown by new-music cassette label Parlour Tapes. The Frequency Festival wraps on Sunday, first at the Art Institute of Chicago (111 S. Michigan), where at 2 PM the Spektral Quartet rolls out a world premiere by German composer Hans Thomalla, and later back at Constellation, where Ensemble dal Niente performs music by George Lewis and Beat Furrer, among others. Start times vary, as do admission prices outside of the Constellation shows—though keep in mind that each museum show is free with admission (and the MCA is free on Tuesday for Illinois residents). The price per Constellation show is $15, and the venue is offering a $40 pass that gets you into all of its shows. For more info, visit frequencyseries.com. Chicago percussionist Doug Perkins has produced a dynamic recording of John Luther Adams's outdoor epic.